This is my favourite animal photo ever. 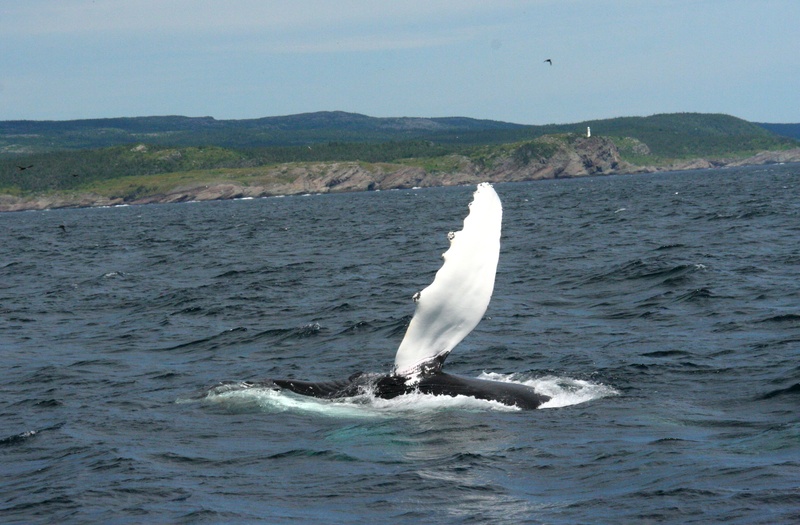 I took it during a whale-watching tour in Witless Bay, about an hour south of St. John’s, Newfoundland. This playful humpback was swimming alongside our boat just so, waving at us then smacking its flipper on the water to create a big splash. 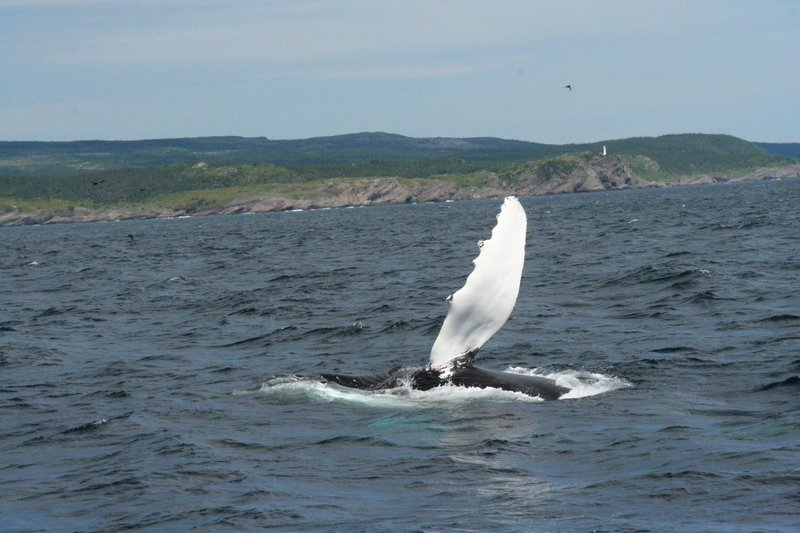 My mom and I had spent three weeks driving across Newfoundland and had seen tons of whales: from the top of Signal Hill in St. John’s and on the coast of Cape Spear (the easternmost point in Canada), we’d seen several spouting in the distance; while hiking the stunning Skerwink Trail near Trinity, from cliffside we’d looked below us to see a mom and babies circling as they fed on capelin; and from a boat tour in Gros Morne National Park, on the west coast, we’d seen a few more spouting and diving. All of the sightings were surprising and fascinating, but every time I look at this photo in particular, I smile and remember how exciting an experience it was to be thisclose to a humpback whale, how we’d been looking forward to doing the tour since we’d landed on The Rock three weeks earlier, and how happy I was to share such an awesome experience with my mom at the end of our road trip. Whenever I need a wee boost, I look at this picture, and the little girl inside me wants to say “hi” to this wonderful whale!